Historically, there’s always been an apparent imbalance in the art world when it comes to female representation. However, it’s only been in just the last few years that government agencies and professional researchers have studied just how deep the disparity is in everything from giving female artists a bigger platform to how much they earn in comparison to their male counterparts. A research published in the Sage Journals in 2016, titled An Asymmetrical Portrait: Exploring Gendered Income Inequality in the Arts also reports that women in the arts make about $20,000 less than men per year. The study was led by Danielle J. Lindemann an Assistant Professor of Sociology at Lehigh University and former Assistant Research Professor and Research Director at the Center for Women and Work, Rutgers University. Using data from 33,801 individuals who have received degrees in the arts, Lindemann in collaboration with Steven Tepper and Carly Rush assessed the earning gaps between genders for artists and non-artists. They compared the salaries of people working within the arts with those from other industries to find similar gender wage gaps. However, upon focusing on art professionals, they found that the women earned $43,177 on average while the men made $63,061 per year. And thanks to initiatives like #MeToo and Time’s Up, there’s now a glaring spotlight on the pervasiveness of workplace discrimination, harassment, and inequality. For decades, women have been too scared to speak up, accepting lower wages and allowing society to treat them unfairly. Despite pay inequality being illegal in the U.K. for over four decades, the gender pay gap exists to this day. 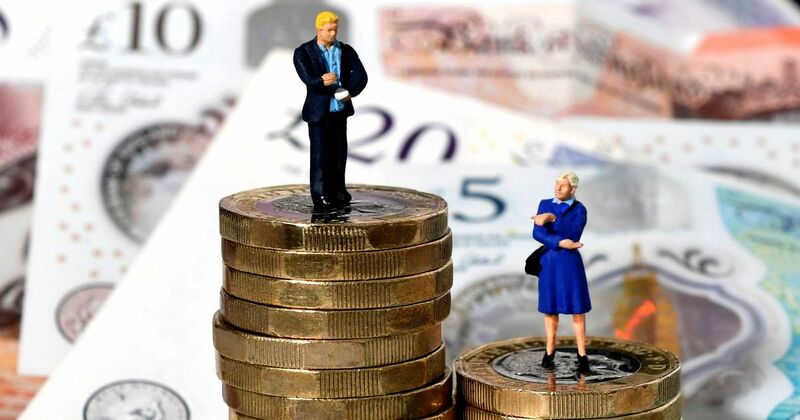 To identify the severity of the difference in wages, the Equalities and Human Rights Commission required businesses employing more than 250 people to report the average differences between the hourly rates of their male and female employees. Over 10,000 firms published their data, revealing that approximately 78% of U.K. companies pay their male employees more than women. On average, men were paid 9.7% more per hour than their female colleagues. In May 2018, the UK government compelled auction houses along with other companies to submit their payroll data. The data exposed how the women at Bonhams earned 37% less than their male counterparts. Female employees at Christie’s and Sotheby’s made 25% and 22%, respectively, less than men in their organization. In September and October 2018, Arts Professional, British arts management journal, conducted a study on more than 2,600 professionals working in the art industry in the U.K. The survey revealed that the average salary for a woman is $37,300 while her male equivalent made $41,800. What’s curious is that at the time of the survey and the calculation of the gender pay gap, 66% of the Art Council’s staff were women. While there were no women in C-level positions, 60% of the Senior Managers were women, and they held 71% of the Senior Officer and Relationship Manager roles. In Australia, it’s evident that the gender pay gap in the arts is more comprehensive compared to other industries. According to a 2017 economic survey led by David Throsby and Katya Petetskaya titled Making Art Work: An Economic Study of Professional Artists in Australia, the female artist, despite being better educated than her male colleague, earns much less. The study is the most recent from a series that dates as far back as the 1980s. When it comes to the gender wage gap, the biggest culprits are severe under-representation and a long history of gender inequality. Female artists still make nowhere near as much as male artists. Inescapably, it remains this way despite many studies that prove that audiences cannot differentiate art created by a man from art made by a woman. This entry was posted in Art World, Discover and tagged art industry, equality, female artists, Gender Pay Gap, Pay Gap, underrepresentation. Bookmark the permalink.